Love sports, shopping, the arts, history? Atlanta, Georgia has it all and that is what is drawing so many people to relocate to this thriving city. 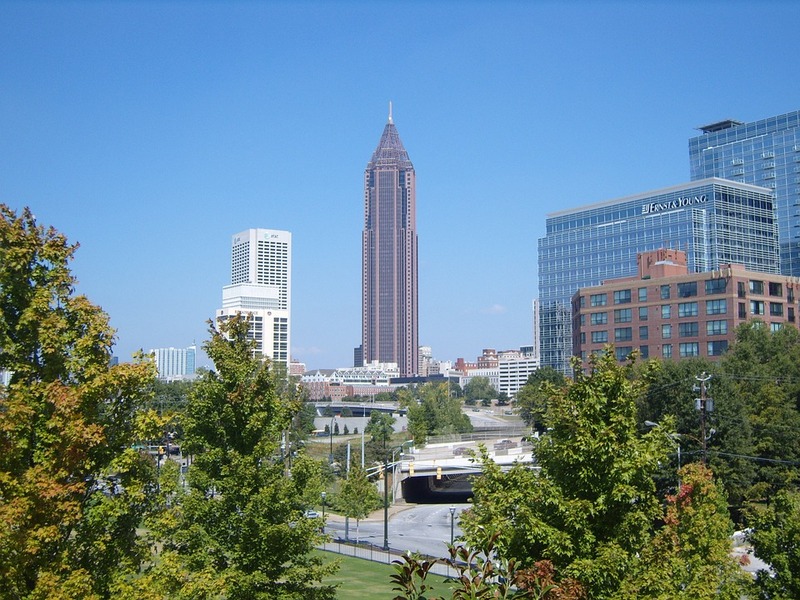 Atlanta is one of the top three choices for relocation, according to Michael Kanell of The Atlanta Journal-Constitution in his article Atlanta’s near top as relocation destination. What is the major draw to Atlanta? Simply put: the economy. There have been 60,800 jobs created in the city in the past year, and the unemployment rate is at an astonishing low of 3.4%. Some of the largest companies in the United States such as Coca-Cola, CNN, Delta Airlines, and UPS have their headquarters in Atlanta. Home prices are also lower than other cities including New York and Los Angeles. There are many new housing options in the city including apartments, townhouses, lofts, and condos. To see exact comparisons in terms of living expenses check out this article from MoverDB.com Moving to Atlanta? 2018 Living Costs and Relocation Tips. Studies are finding that most people moving to Atlanta are coming from more expensive cities, but as demand for housing in Atlanta is increasing, the price of housing is increasing. So those people coming from smaller cities, may be a little sticker shocked at housing prices. Fortunately, the process of moving here is actually much easier than many cities. The mild climate and topography mean that people can move here all year long without restrictions. This also means that there are several big-name moving companies in the area such like Suddath or Atlas. Competition breeds price reductions, so the people moving here reap the benefits. The majority of people relocating to Atlanta are young professionals. Young people are entranced by the city’s nightlife, shopping, and culture. Atlantic Station is a huge draw for movies, concerts, and shopping. The Beltline draws the outdoorsy crowd who want to go for a walk or a bike ride through a park but also have easy access to restaurants and shopping. For history buffs Atlanta is a fountain of times gone by such as the Martin Luther King Jr. National Historic Site and numerous nods to its role in the Civil War. Atlanta has all its bases covered, pun intended, in terms of sports. Catch a ball at an Atlanta Braves game at SunTrust Park, cheer on the Falcons as they score a touchdown or the Atlanta United as they score a goal at Mercedes-Benz Stadium. Indoor sports more your forte? They have that covered with Atlanta Hawks (NBA) and the Atlanta Dream (WNBA). As you can see Atlanta has something for everybody! The question of the hour for Atlanta, is will this growth continue? With the economy booming, more and more young people getting bit by the relocation bug, most signs point to yes. The only concern for Atlanta is the housing costs, it is imperative for them to get a grip on the rise in housing prices before it gets out of control.